In rural Kansas, a shortage of medically trained ambulance workers leaves some patients waiting for hospital transfers. 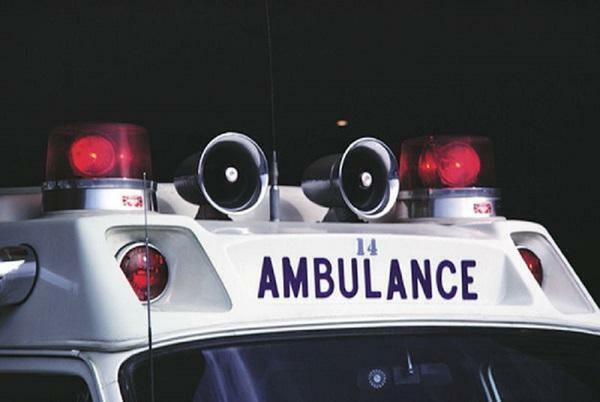 Statewide, a shortage of trained personnel has put county ambulance services in a difficult position: having to delay hospital transfers, which can take several hours, to ensure they have enough staff on hand for emergencies. One proposed solution making its way through the state Legislature could help alleviate the shortage by allowing drivers without medical training to transport stable patients in rural areas. Ambulances would still need to have another person with medical training riding in the back, such as an EMT or a nurse. But some state and local EMS officials say it could be risky if a patient deteriorates en route with only one medically trained worker aboard. And they worry about lowering standards of care in rural areas. “Occasionally patients decline and it’s often helpful to have an extra set of hands to stabilize [patients] before they move on,” said David Johnston, president of the Kansas Emergency Medical Services Association. Joe House is executive director of the Kansas Board of Emergency Medical Services, which writes EMS and ambulance regulations for the state. Those regulations currently require ambulances be staffed with two medically trained workers, including the driver. House said the starting wage for emergency medical service personnel is around $21,000 a year. Ambulance services are competing with clinics, hospitals and schools where workers with similar training can earn higher wages. So many rural ambulance services rely on certified volunteers. Phillips County is fortunate in that regard. The county in northwest Kansas with a population just under 5,400 draws from a pool of 84 volunteers. That number drops significantly in surrounding counties. The EMS director for Phillips County, Pete Rogers, said the county is able to maintain such a robust volunteer pool because it hosts the necessary continuing education and the community holds its first responders in high esteem. Rogers said though he can understand why rural counties with fewer volunteers would want to, he can’t imagine operating ambulances without two medically trained personnel on board. In Norton County, Sowards doesn’t think having two trained EMS workers for stabilized transfers is necessary. Ambulances are often considered a prime example of the excessively high cost of medical care in the United States. One ride can cost more than a trip from Kansas City to Hawaii. But David Slusky, an assistant professor of economics at the University of Kansas, thinks he may have found something surprising that’s reducing ambulance use: the ride-hailing company Uber.